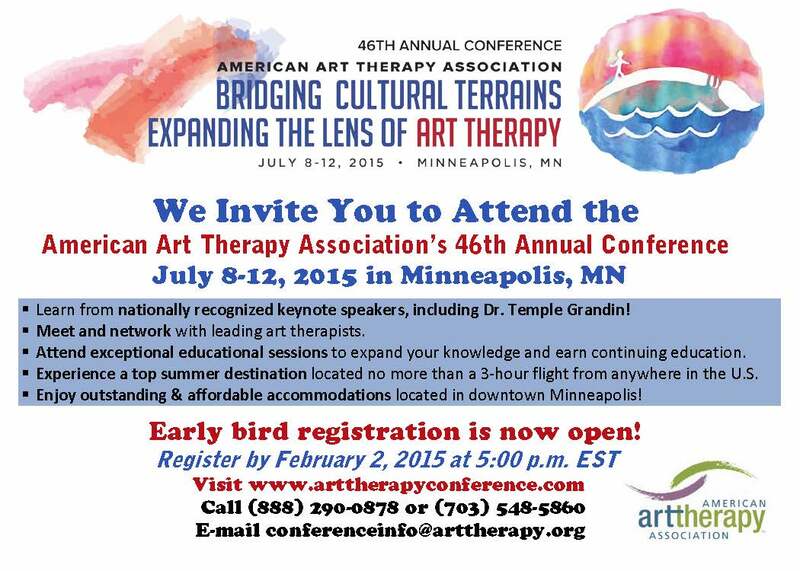 Early bird registration for the 2015 American Art Therapy Association Annual Conference - July 8-12, 2015, in Minneapolis, MN - IS OPEN! The 2015 conference promises to be an outstanding event! 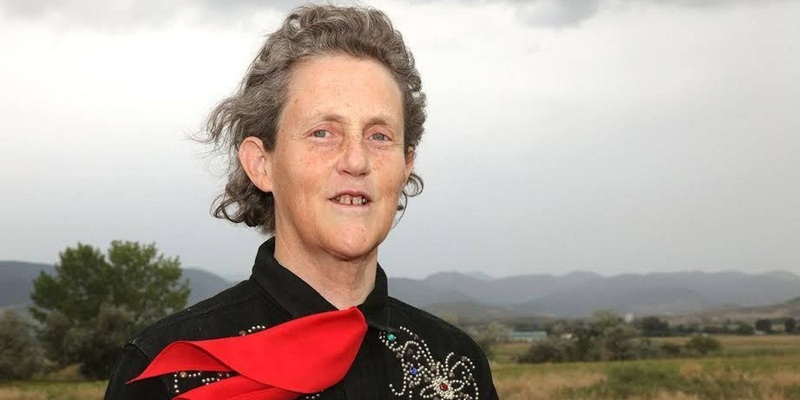 AATA has confirmed the featured keynote presenter, Dr. Temple Grandin for the Thursday plenary session, and have 2 other exceptional plenary sessions planned as well. Remember early bird is open until February 2, 2015 at 5:00 p.m. EST. Thanks! "The Autistic Brain" and her reflections on the facilitation of art-making for people with autism.